Bharadwaj was not alone in his comments. Because of poorly operated intersections, a minority of car drivers felt that traffic congestion had increased as a result of the city’s BRT system, which began in 2008. The time cycles were excessively long, and there were too many phases to accommodate turning movements. As a result, there were very long delays and queues that affected cars, two- and three-wheelers—and the corridor is on track to be scrapped. While a valid critique, it’s important to understand that Delhi’s project was not a complete bus rapid transit (BRT) system. A complete BRT goes beyond bus lanes and bus stops—it is a systematic approach for improving multiple aspects of the passenger experience and bus operations. A complete system includes enclosed stations, centralized management of the bus fleet, adequate access facilities, and continued maintenance and improvement. Furthermore, despite incomplete corridors, the majority of road users benefited from the system: bus travel time dropped and bycicle users enjoyed the best dedicated bike planes in Delhi. In a study in 2009, jointly with CSE, WRI recommended to upgrade the corridor and improve the management of the intersections. Rather than dismantling, we suggested modifications in infrastructure, management and operations. We were not the only ones suggesting to improve the system instead of scrapping it. We were concerned, for instance, with the lack of pedestrian crossings in long stretches, so people needing to cross were jumping the barriers. We also suggested managing the operations (dispatch, frequency) and modifying the way traffic lights were programmed. 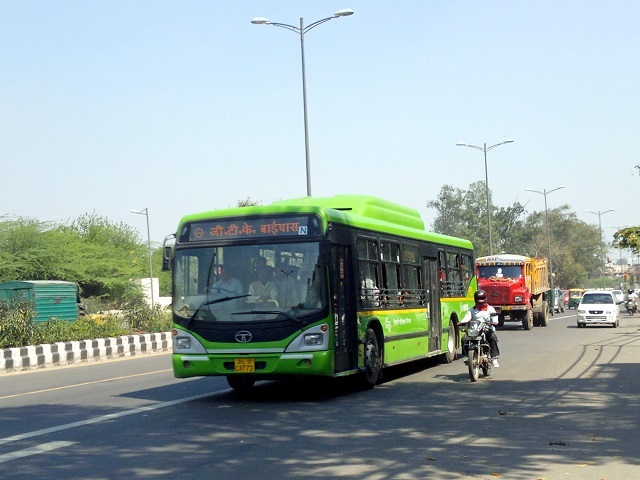 There are many successful BRTs around the world—including Rio de Janeiro, Mexico City, Guangzhou, Istanbul—and even in Indian cities, like Ahmedabad, Surat, Indore, Bhopal. The BRT system simply needed to be adapted to the local needs in Delhi. However, the lobby that opposes BRT in Delhi argued that traffic in Indian cities is completely different from the rest of the world. Trucks and buses, cars, and motorcycles jostle for space with slow moving and non-motorized vehicles. Hence a “foreign concept” like BRT can never be successful. But all cities of the world claim to be unique, and the prevailing way of improving traffic is always the same — expand roads and build overpasses for cars. This supply side approach has not worked anywhere in the world. Expanding roads creates more traffic. It is true that Delhi has very heavy traffic conditions. But appropriate solutions for Delhi range from more compact urban planning (to avoid long trips), improved facilities for pedestrians and bicyclists, better public transport—not limited to Metro and BRT—and the introduction of traffic demand management measures. It is true that the mix of vehicles is very diverse, but urban design so far has concentrated on automobiles. Delhi can learn and adapt good practices from around the world, and the principle of prioritizing people over cars is universal. In a way, metro, highways and overpasses are also ‘foreign concepts’ to Delhi. BRT is no different in that sense. Delhi will not solve its mobility issues with a single approach. Delhi and other cities in India need to combine several measures. Well-designed and operated BRT needs to be part of the public transport mix. The growth of Delhi Metro has been amazing, and it has had positive impacts for Delhi’s residents—despite the relatively high user fare. But Metro will not reach every corner of the city, and will not serve all types of trips. People are forced to walk long distances to the stations and make multiple transfers. Combining Metro with BRT, local buses and even rickshaws and bicycles for the last mile connectivity is a sensible approach. Many corridors in Delhi can improve with BRT and the overall travel experience would be much better than today. But comprehensive implementation and adequate operations need to be part of BRT planning. We welcome the announcement of BRT implementation in a new corridor. We hope authorities and planners get it right this time around. This article was adapted from an interview with Dario in The Hindu.